Cats – Kind of a popular subject on the internet, as I’m sure you’ve noticed – right up there with zombies and comics about gaming, probably. 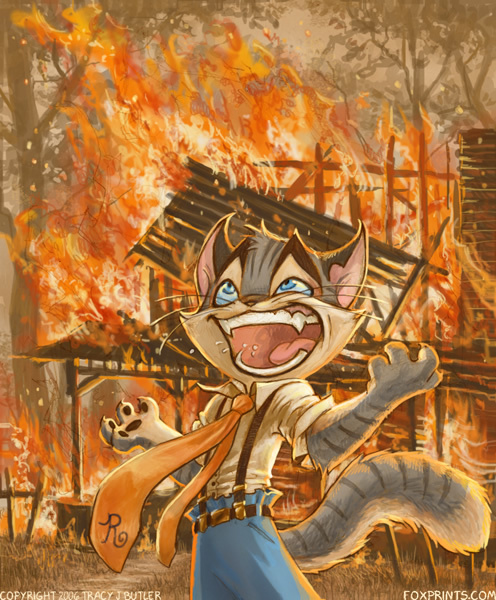 I didn’t set out to tap into the cat meme demographic, but I think Lackadaisy may have earned some of its support simply by virtue of featuring cats. 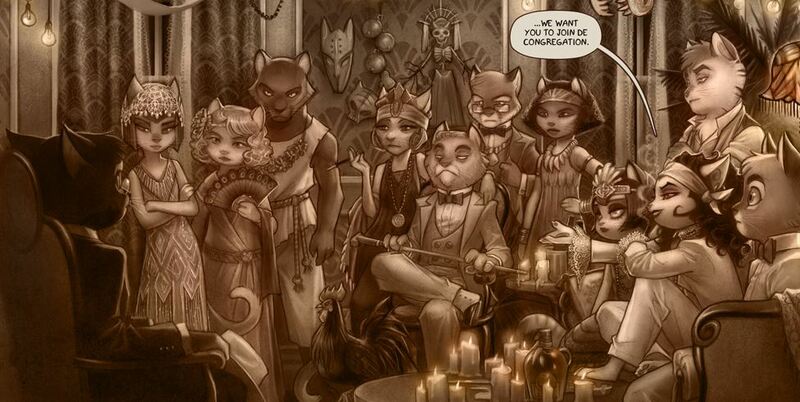 Furries – Similarly, I didn’t create Lackadaisy with furries in mind, but I certainly can see why my comic appeals to this audience. As questionable as the furry community reputation has been, though, they’re a supportive group who really stand by the work they like and by the independent creators who produce it. People who identify as furries have often been the first to suggest that I accept money for the artwork that I do…and then, furthermore, to insist that I take additional money from them because, by their standards, I’m under-charging. People of this ilk have not infrequently shoved extra $5 or $20 bills into my hand for simple pencil sketches I was trying to charge a few bucks for. This doesn’t seem to ever happen to me among other crowds. I can go to a comic convention like SDCC or Wondercon and have people come by the table and complain that I’m not giving the t-shirts and pins away for free. Then, I was invited as a guest to Anthrocon. It has a fraction of the attendance of any of the major comic cons, but the amount of sales I made there were about ten-fold. The short version: I think a lot of my Patreon supporters are furries. Ethan Nicolle: I can totally relate to stumbling upon something people love. 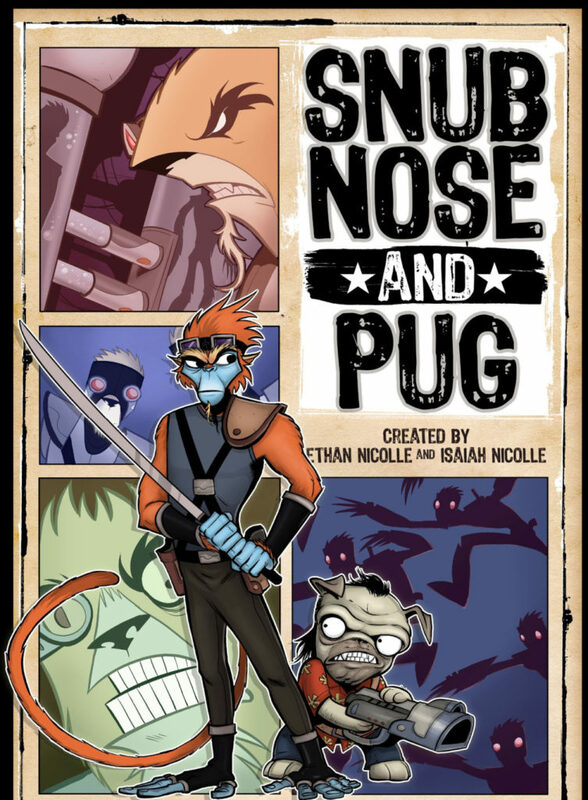 People ask me all the time how to make a successful webcomic, and I always think “you should ask the Lackadaisy girl or the Dr. McNinja guy. It just happened to me. I had no idea how to be successful at it until it happened.” But the more I meet other creators, their experience is somewhat similar. Even if they didn’t have an overnight viral hit, they couldn’t have predicted that what they made would find such an audience. Tracy Butler: Yeah, the only really honest answer I have to that recurring ‘how do you make a successful webcomic?’ question amounts to a resounding shrug. Exactly what adds up to success is just as maddeningly inscrutable in the game industry. We were always working with complicated analytics, gathering people up at shopping malls for play testing, surveying users and sorting through reams of data. None of it ever got us any closer to being able to predict a success, spot a real pattern among top earners and most downloaded games, or to formulate a game that struck all the right chords. I guess it would cease to be an art form if it didn’t involve some pursuit of the ineffable, though. Side Comics/Shareable Stuff – Long-form storytelling can really be a hard sell. It requires an investment of time and attention from readers and that tends to really limit the audience reach. The top-earning comics on Patreon (and really, on the internet at large) all seem to be of the topical gag variety where the reader need only invest a minute or so in a one-off comic. Then, if it makes them laugh, they can pass it around to their social media friends because it doesn’t require a whole backlog of story context to understand. I’m sure you already know this, of course, but I think I may have stumbled upon a sort of happy medium by mixing one-off comics in among my updates. They don’t really move the story along – they’re often just some goofy one-note nonsense, but these mini-comics get a lot more traction than my story based updates. Like gag strips, they don’t really require context, but because they all feature Lackadaisy characters, they help steer passers-by toward the story comics. I’ve also had a number of people tell me outright that they like looking at the art in the main story line, but they really stick around for the side comics. Ethan Nicolle: Yeah, I realized how unshareable my Bearmageddon pages are. Axe Cop was much more shareable. 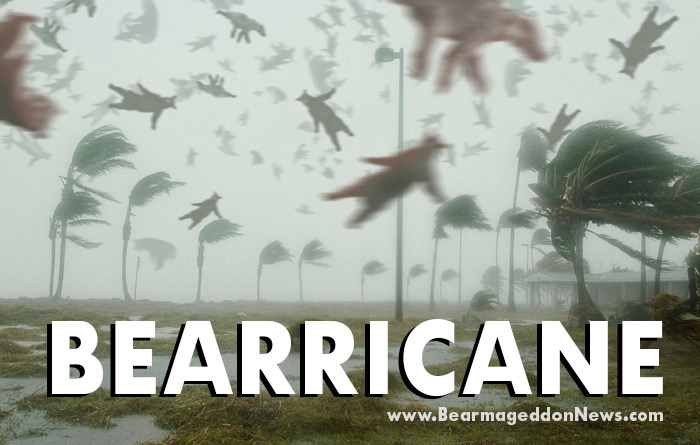 That is one reason I started creating bear news satire, which I got a little carried away with and created a website for it. But it has worked pretty well in getting subscribers and new people to check out my comic. 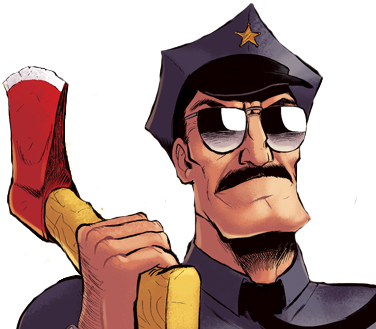 But reading your words here have actually made me start thinking about Axe Cop as a comic strip. Like 1 to 6 panels at a time. Something doable. I put it on the backburner because I always think of it as big full-color pages that continue on in long stories, but Axe Cop went viral on one page. I love the character. I guess if I ever do this I will have to put a little credit somewhere thanking you for this idea and send you a cut of the huge profits I will surely reap. Reader/Patron Interaction – I spend time answering questions from readers, usually through Tumblr. Sometimes I even answer with a short comic or funny drawing. I do live streams for Patrons too, and we all just casually chat for a few hours while I draw. I also share little bits of my life with them outside of comic work. I discovered the value in this last year when I inadvertently ended up hand-rearing a teeny-tiny, orphaned kitten. She required so much of my attention and so much of my time for the first month or so that I fell behind on the comic work I was promising. I dreaded having to make my excuses to Patrons – it all seemed very unprofessional – but when I explained and shared some short videos of the kitten with them, the opposite of what I expected happened. Patrons loved the kitten update posts and many of them upped their patronage to help out with the emergency vet bills I was taking on. Ethan Nicolle: I have also noticed that it seems to really pay to be honest and open about your life to your fans. Every once in a while, I will post a blog about some personal story and I always get emails about it. But overall I feel like my fans don’t interact with me as much as they used to. I often wonder if that’s the price I’m paying for not interacting with them as much as I used to be able to during the crazier days of Axe Cop’s success and my move from being a single guy to a married guy with two instant kids and another soon to come. I feel like I am trying to re-earn their trust. On Patreon I get very little interaction. I don’t know if people just don’t get on there or what. I have considered starting a Facebook group for my patrons so that it’s easier to communicate with them since I assume most of them are on Facebook more often then Patreon. Tracy Butler: How and where audiences will socialize and interact is a mystery. Online social behaviors ebb and flow and mutate and migrate and trend in ways that are hard to make sense of. I wonder when ‘Internet Anthropology’ will become a post-grad course of study. Maybe it already is. I had a very active forum for a couple of years after I launched my comic, but it fizzled out rather suddenly. For a time, I thought I had worn out my welcome and Lackadaisy was already in its decline, but my site traffic was still looking okay. It was pretty confusing, but in retrospect, I think it happened around the time social media sites really started to become The Thing that the internet was all about, and discussion forums started seeming old fashioned. I kind of refocused my efforts to communicate with readers on a Tumblr blog. It’s much less intimate, but it definitely has its advantages. I tried to get Twitter to work to similar effect, but I just don’t seem to hit the right notes there. I suspect I come across like a boring self-promotion robot because of the character limit, and that doesn’t play well. It seems like you have to have an arsenal of quippy witticisms to do battle there. Ethan Nicolle: That’s totally how I feel about Twitter. It seems like it’s just made for a certain kind of person I am not. I try, Lord I try. Tracy Butler: Likewise, I find it’s a little difficult to get Patreon supporters to interact. My posts do usually get comments, but it’s always the same small handful of people. Engaging them in ways that call for input and participation tends to help, though. I’ve seen creators like Dave and Liz Lillie (Dreamkeepers – they have a smallish following, but they are an insanely ardent bunch) and Der-shing Helmer (The Meek/Mare Internum) doing some things in that regard with seemingly strong results – contests, taking votes for what exclusive material gets shared that month, weekly chats and such. Ethan Nicolle: By the way, I think you are totally right about people assuming I am wealthy. It’s not true, never has been. In the three years where Axe Cop did really well, I made about the yearly salary of a manager at Starbucks. That’s amazing money in comics because there IS NO MONEY in comics. Networks don’t pay big money for a 15-minute cartoon that airs at 1am. They know they are doing you a favor, and you take what you can get. I have seen people all over the net talking about my brother and I as if we became millionaires. Never happened. We were, and are very blessed by what DID happen, but viral success does not add up to monetary success. I have found this with a lot of “internet celebs” I’ve met since this whole journey started. Webtoon – This one is new to me. I can’t really vouch for it just yet, but it seems promising. Webtoon (if you don’t already know) is a host/platform for mobile comic reading. They’ve added a ‘Discover’ section to their catalog for comics that are already established titles (their ‘Featured’ section is for comics exclusively hosted on Webtoon). They’ve got a pretty enormous worldwide audience, so it’s possible to reach people who haven’t otherwise heard of you, and they’ve just done some integrating with Patreon so that Discover comics can earn patronage bonuses based on viewership numbers. 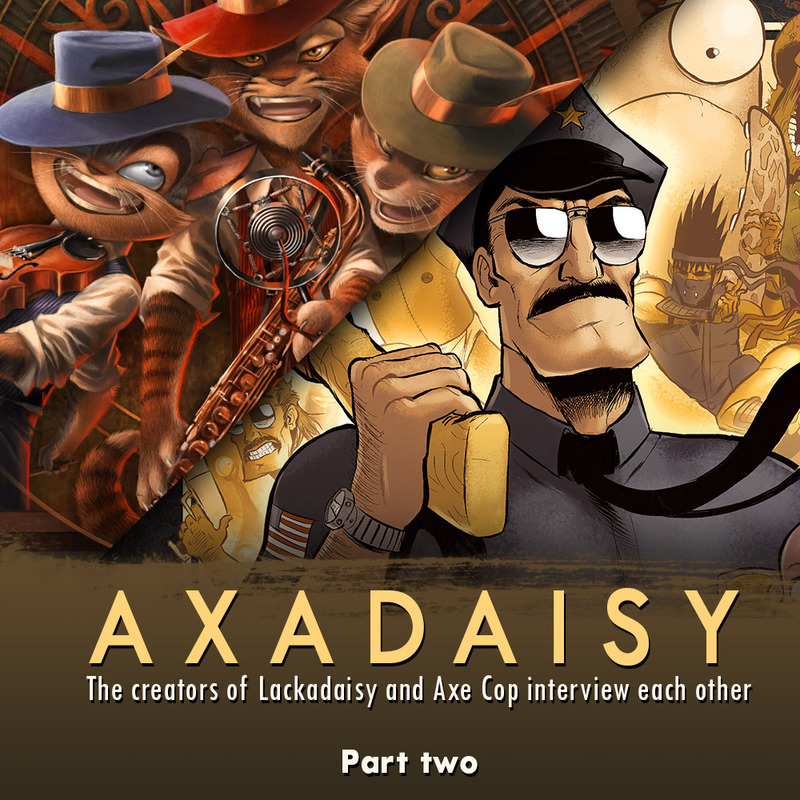 They reached out to me about this, and so I’ve been busy reformatting all of my Lackadaisy comics from the beginning into a mobile-friendly format. I just launched there this past weekend. I’ll have to wait and see what it yields. Ethan Nicolle: I need to check that out. I have been working on getting my site in shape and my next plan is to start promoting my comic on sites like this. Thanks! Tracy Butler: That about covers the possible reasons for patronage discrepancies I can think of just now. I’d be happy to hear your thoughts on how-to-Patreon too, if you care to share. Ethan Nicolle: I’m trying some new things with Patreon, so I can’t really say if they work yet or not. I am basically trying to consider Patreon my “profit” from those fans. So if you are paying me enough monthly, you get everything I make, or have made, free in digital format, and at my cost in print. I also post lots of things nobody sees like process art and my TV pitches and things like that. Currently I am sharing every pitch I have ever made and talking about how the pitch went and what I learned, and attaching the full PDF. This is stuff I don’t post publicly, so its exclusive. Then I try to promote these features to fans who are not Patrons, often but not too often. Right now it seems like I am getting a “trickling in” response. 1 to 3 pledge a day since I started really trying. One of the TV pitches I shared on Patreon. This one was developed into a 35 page show bible, which only my Patreon subscribers get to see. Hey, it’s got a furry vibe. Now all it needs is cats! So, to move on from this massive topic we could talk about forever, I’ll ask you this: do you make other stuff, or is Lackadaisy it for you? I am always making a bunch of stuff all at once and I kind of envy people who have their one thing they make and they just do it. Do you think you’ll keep making it until you retire, or do you have other projects you want to tackle some day? 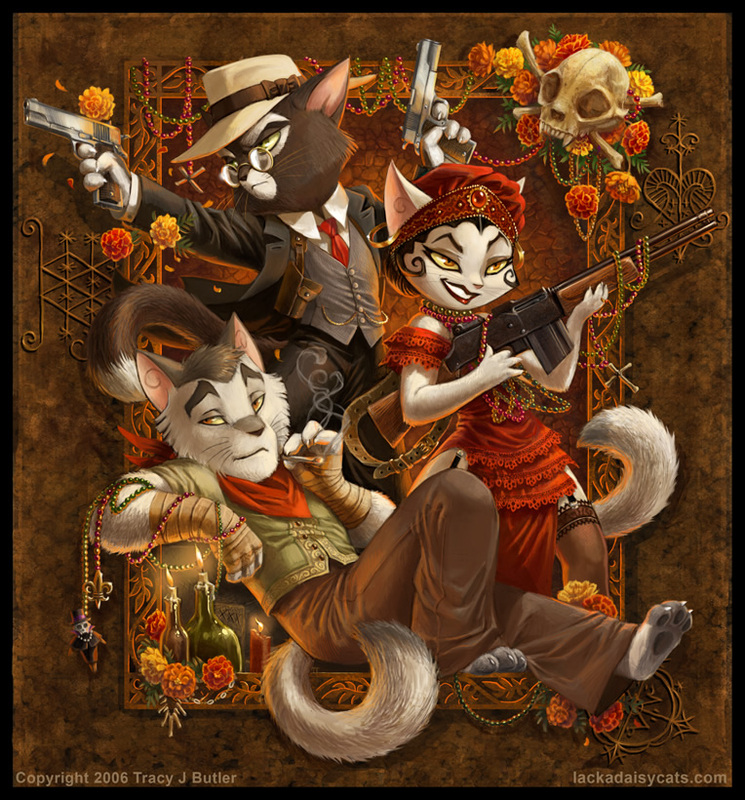 Tracy Butler: Right now, Lackadaisy is the only thing I’m actively working on. There are other things I’d really like to do someday (horror short stories has long been on my list), but they’re on a shelf for now. Lackadaisy does have an end though, and with any luck, I’ll get there before retirement age (or, since there’s no retirement fund money in comics, before my hands curl up into grotesque, arthritic claw-hooks). I occasionally squeeze in some freelance work, but my comic and its ‘sub-projects’ are otherwise all consuming. I struggle a lot with feeling overwhelmed by what I’ve already undertaken and simply trying to keep up with reader expectations (or at least with what I think they expect from me). I’m okay with that, though, because I still really love working on it. Nevertheless, I have the opposite sort of envy (mixed with a sense of inadequacy, for good measure). I see creators out there updating two webcomics at once, contributing to anthologies and gallery shows, doing commissioned work, hitting five or ten conventions a year, and in some cases, even managing to raise families amidst it all…and it baffles and frustrates me. I don’t know how anyone finds enough hours in the day. If you aren’t bound by NDAs, what other projects are you working on these days? Ethan Nicolle: I’ve been exploring the word of children’s books a bit. Axe Cop had an effect on the kind of stuff I want to make. Most people don’t know I started Bearmageddon before Axe Cop. Since Axe Cop I have experienced making things kids and parents can enjoy together and I’m hooked. Adding to this, reading bedtime stories to my kids has become one of my favorite things to do. We’ve gone through all sorts of classics. The Wizard of Oz, Alice in Wonderland, Grimm’s, The Hobbit, Narnia, Roald Dahl… the experience of enjoying a good book together is something much more profound and lasting than reading a comic alone. It made me really want to make books that have that effect on people. So for the last year I have been working on my first chapter book. It’s a very Roald Dahl inspired book about a scared boy who gets turned into a possum by this awful creature called a Glortch, a witch/ogre/goblin. It’s a scary and funny story, and it’s currently my favorite thing I’ve ever made. I’ve done over 200 illustrations for it ranging from little silhouettes to big full page drawings. My Patreon members have been able to see some art (update, I recently released the entire book to them for free). The text and art are all done, I just finished both and will begin piecing it all together this weekend. I have no idea what will come of it. Nonetheless I’m very excited about it. I read every chapter to my kids, and any time a chapter didn’t go over well I rewrote it. I did 10 drafts, all pretty big rewrites. It was intense. But I really like the medium. I want to do more books like this. I love the more intimate storytelling of a novel as opposed to comics, which tend to be more like storyboards. In a book I can draw all the images I am really excited to draw and leave all the other stuff to the imagination. My job for the last three years has been very steady, writing on the VeggieTales series for Dreamworks. But I’m coming to the end of that job soon and will be looking for work. This is one reason I have been trying so hard to crack Patreon. I long to make the stuff I love. I’ll go write for another reboot TV show if I must, but I like to hold onto hope that somehow, some way I can make enough money on my own stuff that I don’t have to. 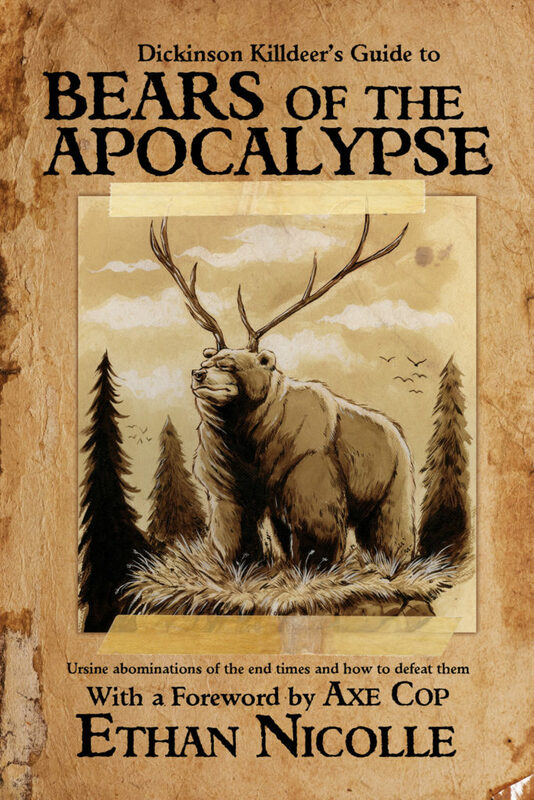 I just finished a small book called Dickinson Killdeer’s Guide to Bears of the Apocalypse, a bestiary featuring about 40 different mutant bears and detailed descriptions of their eating, sleeping and murdering habits. I have another kid’s book outlined as soon as I get my possum book totally done. I also recently did illustrations for Nick Offerman’s new book entitled Good Clean Fun. Well, this has been really fun. I didn’t expect our responses to be huge essays! Thanks so much for all of your time and advice. Is there anything else you would like me to mention or would like to say? Tracy Butler: As a fan of all things Roald Dahl (and, really, any material that can manage to appeal to both adults and children in equal parts spooky and charming), your possum book sounds fabulous. Congratulations on completing the content for that. I’ll be certain to grab a copy, wherever you decide to release it…and maybe one for my niece and nephew too. I do hope that Patreon can keep you financially afloat going ahead so that you’re free to do your thing. I like the idea of a world in which creators can be independently in such direct contact with their fans and supporters that middlemen distributors, publishers, retail chains, agents and everyone else who’s long been partaking of the artist’s pie can henceforth be optional invites to the table. Anyway, I’ve been pretty long winded with this, so I’ll end here. Thanks again for reaching out. This was fun! New to my work? 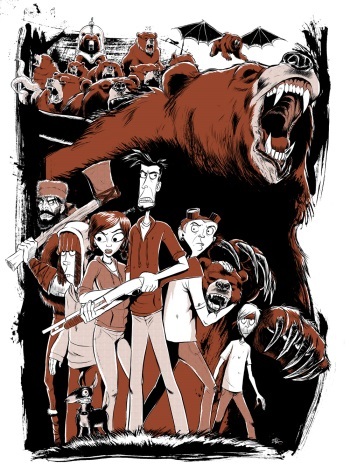 Go to www.bearmageddon.com to read the first 66 pages free. Subscribe to my mailing list and I’ll give you a free PDF of volume 1. Volume 2 is posting weekly for free. A great read! Lots of fascinating stuff in here. I’m just glad that there exist more and more outlets for creative wonders to keep creating!